CrossCode is entering the final week! What is going to happen?!?! First of all: We have been silent for a week because we actually created a lot of new content for the game. 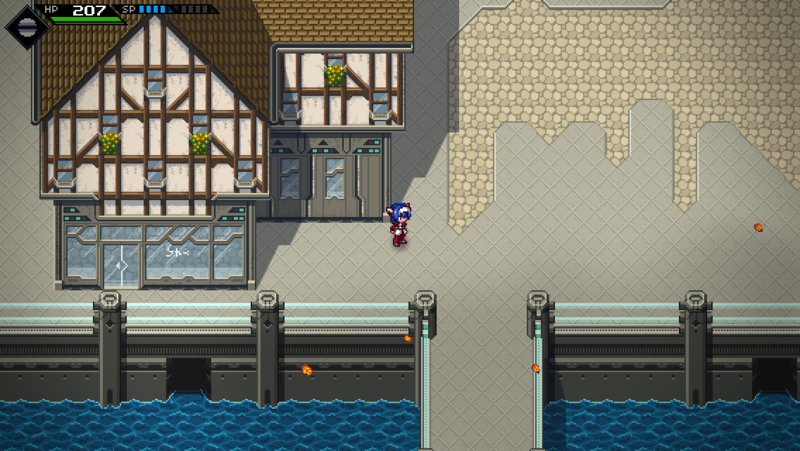 The reason is simply that we want to show new stuff that you can’t yet find in CrossCode. One of those things is the trading system! All your looting dreams will finally be fulfilled and you’ll be able to grind all day. To encourage people to loot more we also changed up the battle UI completely. In the demo your only indication of entering a fight is the change in music and a very small display on the top-left. Fights were short and you had no motivation to kill lots of enemies swiftly without recovering. 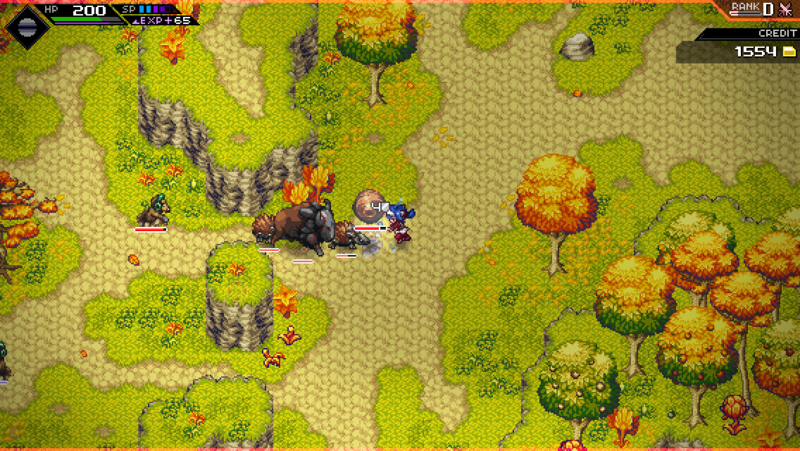 The new system introduces a rank system displayed in the top-right corner when entering combat. Killing enemies will increase your rank and after a fight is over you have a short amount of time to start a new fight in order to keep up your “Combat String”. But what do you gain? Higher ranks net you a higher chance of gaining loot and you also only see some drops when you’ve reached a certain rank level. This way you get rewarded for fighting longer but you don’t have to do it unless you’re hunting loot! Awesome, right? Also we’re working on a new area called “Rookie Harbor”. It’s the starting place for all new players in CrossWorlds and will be the first real town you visit. Have a look at the current map test! This area will get more lively over time, including NPCs that want to trade or NPC searching for help. You can expect some good progress on this area in the next time. Tomorrow we’ll have another update where we’ll be talking about what is going to happen with the game if the Indiegogo campaign fails and what our plans are for the future. We know a lot of people are concerned and we want to clear up some confusion and answer all those important questions! So we will see you all tomorrow!